2016 Prius v in Sea Glass Pearl. Moving from a 1997 Honda Accord to a 2016 Prius is kind of a big deal. My former car was a 1997 Honda Accord LX V6 I purchased coming off a lease in 1999. Yes, in the previous century. I know. But it was a good car. Almost 164 thousand miles at this point and still going strong, even though it is getting old and tired and every year something costs $1,000 to fix. It does go to show that modern—in the widest definition of the word—cars are really good as long as they get regular maintenance and care. One of the big reasons I kept the Accord was that most of my interest in cars sits right in front of you in the entertainment system. Apart from reliably and comfortably getting me from point A to point B, of course. Which this vehicle has accomplished competently over the years. But it’s getting tired. 164 thousand miles is a lot. It’s still a good car, mind you, and it has seen some upgrades, man. From the stock system with a cassette player when I bought it to a head unit that supported a six-CD changer in the trunk, to iPod integration, to Bluetooth, to better Bluetooth, I think it’s had five head units total. 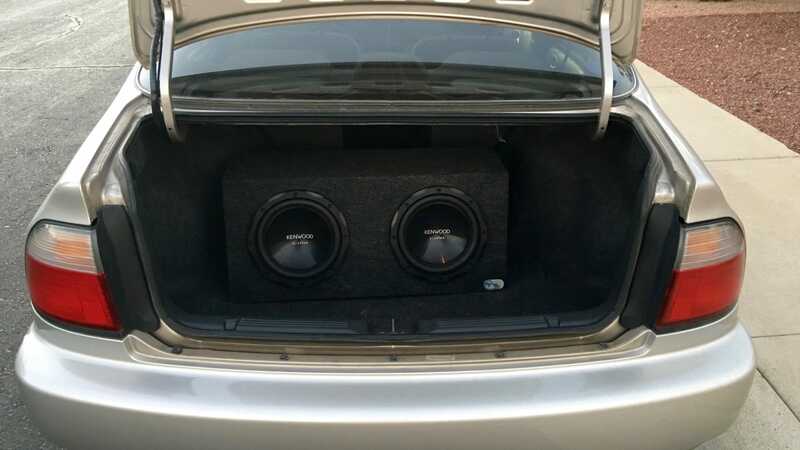 And it’s on its second pair of 10-inch subwoofers in the trunk after the Arizona heat rotted the first pair. Twin 10-inch subwoofers will let you feel your music. I guarantee it. I’m going to miss that sound system. 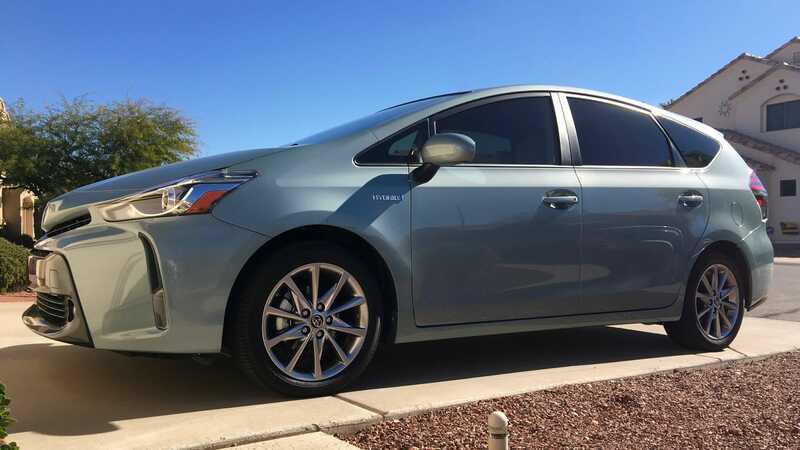 The Prius v has the advanced technology package with the upgraded stereo, and it sounds fine, but factory sound just won’t rattle your rear view mirrors. So that’s the Accord. On to the Prius. Which, a week in, I love. This is such a nerd car—basically a computer on wheels. And the whole Prius raison d’etre of maxing mileage and the internal combustion engine and the battery working in harmony provides massive nerd happiness as you watch it happen in real-time on a little screen. Adding to the general happiness, the 2016 Prius v I purchased is surprisingly large. It really is a small SUV, which surprised the heck out of me when I first went to look at one. The regular Prius is smaller, though a little bigger than you’d expect, but I was not ready for how big the Prius v is. For the record, I’m 6’2”, not a small man, and I fit comfortably in this thing. And compared to the Accord, I sit noticeably higher in the Prius. It’s not all roses, of course. The Prius is not a good choice for a getaway car for your next bank heist—acceleration is ponderous at best. There’s more road noise than I’d like, and the internal combustion engine sounds like a Russian tractor when you push it. Though that, somehow, ends up being charming rather than annoying. I heartily applaud how Toyota isn’t even pretending the Prius is anything like a regular car. It’s all fly-by-wire and they embrace it so much that the PWR mode even resets the sensitivity of the gas pedal! That’s pretty next-level and not something a more traditional car company would even think to do. 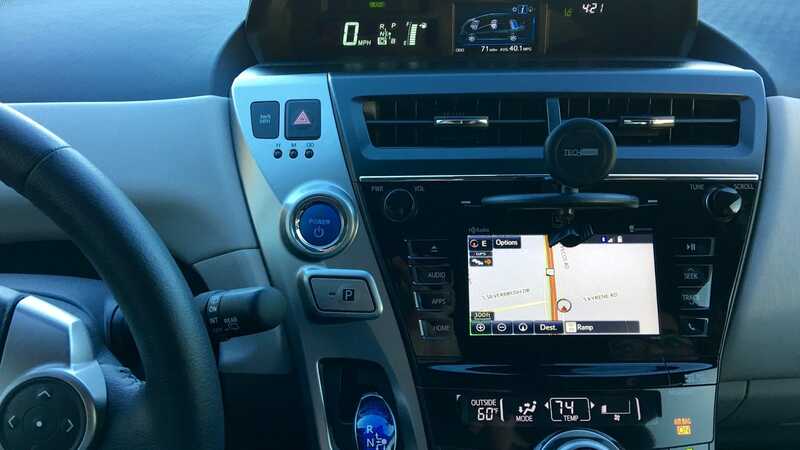 The cockpit of the 2016 Prius v. You want buttons and screens? We got buttons and screens! Here’s the science fiction stuff that happens: You walk up to your vehicle with the fob staying in your pocket, you touch the handle and the car unlocks. Then you get in and touch the start button, and the car starts. You have not touched the fob or its key to the car at all. It’s just there in your pocket and your car senses it. This is the way and the life, my children. Seriously. After experiencing this for just a few days I have a constant low-grade rage every time I pull out my key to unlock the front door to my house because, why? Why can’t I just have it in my pocket and my house unlocks? But it’s an adjustment, sure: After all these years of driving, I still want to pull the key out of my pocket and ram it into the ignition. We’ll see how long it takes for that reflex to be extinguished. Your car knows how bright it is and knows whether you should be using the daytime running lights or the headlights and turns them on and off at will. This is so brilliant. Why should you have to decide to turn the lights on and off? You have other things to think about. And now your car has a chip whose whole existence in life is to figure out if the lights should be on or not. This is all it does, 24/7, tiny chip brain pondering the information coming to it from the light sensor. Are you spending every waking second figuring out if the headlights should be on or not? No? Then you’re probably not as good at it as the chip in your modern car. And above all, it’s not something you should have to think about. There’s a chip for that. With automatic climate control you tell the car what you would like the temperature in the cabin to be and then it figures out how to get there. You don’t tell it the fan speed or anything like that. There’s a chip whose job it is to figure this out and, again, that’s its whole purpose in life. You don’t worry about it. The chip will figure out how to make you comfortable. Holy crap! This is one of those things you kind of expected because it happened in sci-fi, but to have it happen to you as you drive is fan-freaking-tastic. You set the speed you want and then the car—which has an honest-to-god radar onboard—matches the speed of the car in front of you so you don’t have to adjust the cruise control. This means on any long drive on the highway you can just put it in cruise and steer. Sitting there watching your car notice somebody slowing down and matching that speed without you doing anything is so freaking future. A week in and I’m super happy with my Prius. If you’re on the fence and you have nerdy tendencies, do it! Join us! Don’t be afraid!